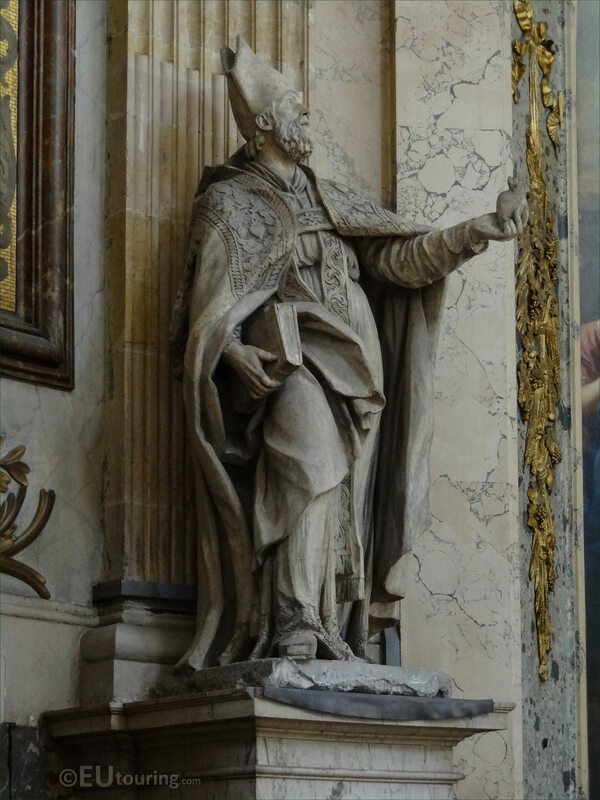 We were within the Eglise Saint-Roch in the 1st Arrondissement of Paris, when we took these high definition photos showing a statue depicting a saint within the Chapelle Saint Denis. 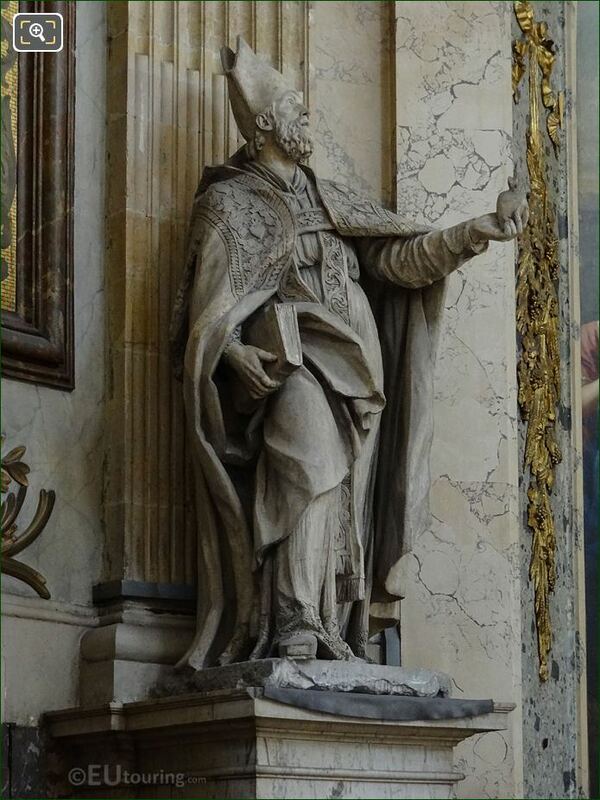 This first HD photo shows an historical statue that depicts a saint who was also a bishop, but unfortunately, even though the name of the saint is located on the base of the statue, as you can see part of this is missing and we were unable to get who exactly this statue depicts, although by his attire, you can also see that he was a bishop as well. 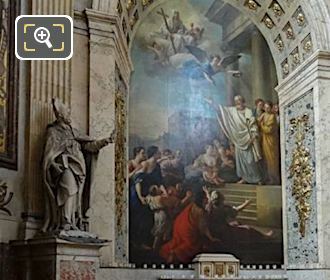 Unfortunately, we have also been unable to find out who sculpted this statue, however, this is located within the left hand side transept called the Chapelle Saint-Denis, or English the Chapel of Saint-Denis with the beautiful painting in its centre. 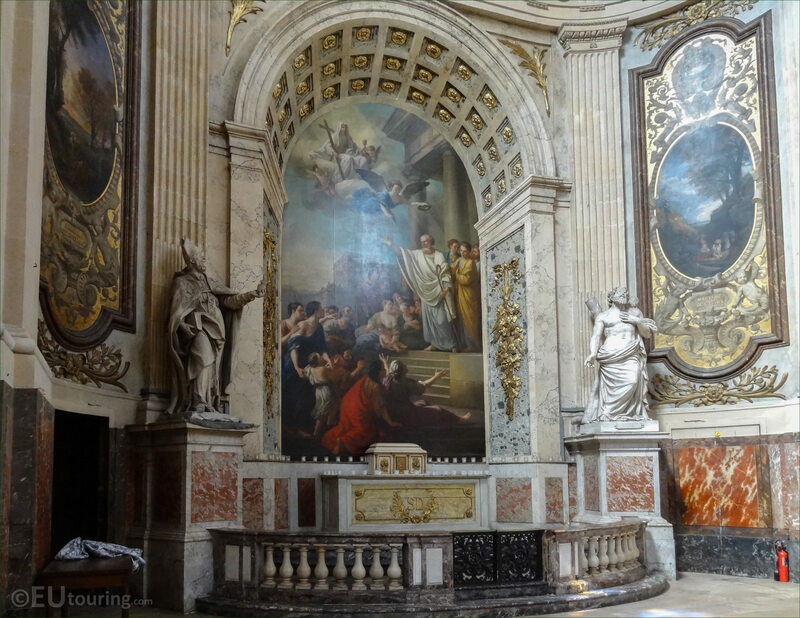 And this is located in between the Chapelle Sainte-Suzanne and the Chapelle Saint Vincent-de-Paul of the Eglise Saint-Roch on the left hand side, as you are looking down the church upon entering the main entrance on the Rue Saint-Honore, which is in the direction towards the impressive Chapel of the Virgin.